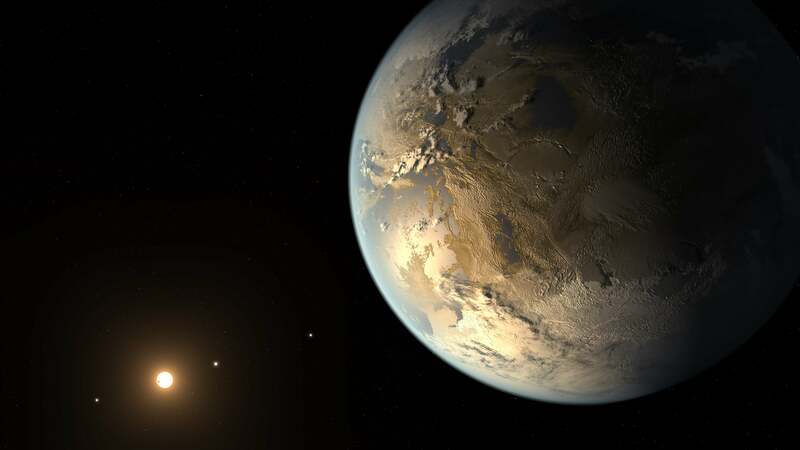 Arizona State University’s School of Earth and Space Exploration recently released new research on its flagship Smart Course, "Habitable Worlds," published in the peer-reviewed journal, Astrobiology. The study found that its student-centered, exploration-focused design resulted in high course grades and demonstrable mastery of content. Created for non-science majors, Habitable Worlds (HabWorlds) uses interactive simulations and virtual field trips to introduce astronomy, biology, chemistry, geology and physics to students as they explore the search for life beyond Earth. The online course was created by the Center for Education Through eXploration (ETX) at ASU, with support from NASA and the National Science Foundation. Since 2011, it has been taken by more than 5,000 ASU students and adopted by instructors at nearly 40 other institutions globally. In the published research, co-creator of the course Lev Horodyskyj and the team of researchers, instructors, and programmers who created HabWorlds describe the digital design philosophy they used to develop and implement the course. “With HabWorlds, we wanted to bring to life a new way of teaching science. Our goal was to create an interactive, game-like science course that teaches science as it really is — a systematic process of exploring the unknown, not just memorization of known facts,” said Ariel Anbar, fellow co-creator of the course and director of ETX. Through the use of Smart Sparrow’s learning platform, instructors are able to access learner analytics captured throughout the learning experiences. They can identify common trouble areas for their students and make rapid design and content improvements to ensure students meet the learning objectives of every lesson. “Because of the way HabWorlds is designed and our ability to use Smart Sparrow’s course analytics to dig deeper into what students do throughout the lesson, we can clearly measure their understanding and mastery of content as demonstrated through their behaviors,” Horodyskyj said. The research also shared student learning outcomes and evaluation data from over the past six years. Analysis showed that the consistently higher grades through use of the course are a result of better concept mastery and efficient problem-solving, not simplified concepts or easier grading than the traditional instruction. Read the full paper in Astrobiology, published by Lev Horodyskyj, Chris Mead, Zack Belinson, Sanlyn Buxner, Steven Semken, and Ariel Anbar. .